Big Island is not only beautiful in landscape; it is equally as fascinating and mesmerizes visitors and locals alike. No matter how many times you have set foot on the island, there is always something stunning to take your breathe away and more things to learn about. Big Island is bigger than all of the other Hawaiian Islands combined and boasts 11 of the world’s 13 climactic zones within it. It offers a playground of adventure from deep sea fishing, water skiing in azure blue waters, hiking in lush rainforest, trekking across vast desert and mountaineering the snow topped Mauna Kea, the world’s largest mountain, to indulging in authentic Hawaiian cuisine, watching molten lava flow from Kilauea volcano and exploring the largest restored religious temple in Hawaii, the Puukohola Heiau, and much more! If you are enthralled by the endless opportunities for exciting quests and unforgettable experiences, come and visit Big Island. As there are an abundance of activities and attractions, there is also a colorful array of accommodation. From budget motels, backpacker hostels and quality hotels to major resorts and luxury five star hotels, there is a place to stay for everyone regardless of budget and lifestyle. The Big Island sits on top of five volcanoes. Not one, not two, but five. Now, it’s no wonder why the island just brims with vibrancy. As the Big Island continues to change and grow with each rumble and each lava flow, the culture and its people erupt as well with magic and sincere friendliness. Three of the five shield volcanoes of the island are considered dormant. These are Kohala, Hualalai and Mauna Kea. The Hualalai is still being monitored for possible activity though. Two of the most active volcanoes of the century are the Mauna Loa and the Kilauea. More recently, it is the Kilauea that’s been acting up and egesting lava flows. The Mauna Loa, on the other hand, is the biggest volcano on earth. It actually covers half of the Big Island. Add Loihi to these volcanoes, and you'd surely marvel at the Big Island's geographical wonders. Loihi is an underwater volcano, located at the south side of the Big Island. It began to erupt in 1996 and is projected to create another island for Hawaii’s island chain in a quarter million years. Visitors get to see the wonders of volcanoes and “creation” when on the Big Island. The Hawaii Volcanoes National Park is the best place for this. There are several hiking routes and stops while in the park. From here, you get to experience the volcanoes intimately. The Hawaii Volcanoes National Park is the best place to take in the beauty of volcanoes. The park sits on more than 300,000 acres of land, stretching from the Mauna Loa peak, down toward the ocean. Along the way, you cross the paths of two volcanoes, the Mauna Loa and the Kilauea. You hike through the changing terrains of rainforests, scalded deserts, and volcanic rocks and craters. There is a lava tube you can marvel at up close, plus petroglyphs and a museum. This should be an amazing exploration. You are still bound to see the destruction caused by Mauna Loa’s eruption back in 1984. Meanwhile, Kilauea, one of the most active volcano in the world, has been erupting since 1983. You will then see lava flows and lava pools. As one of the highlights of the trip, you will see lava crash into the ocean. This is not just trickles of lava; about 500,000 cubic yards of lava is spewed out by the Kilauea every day. Seeing this can truly be a once in a life time experience. The Kilauea Visitor Center: This is your first stop for your journey through the volcanoes. When at the center, it usually pays to watch the center’s introductory film first. This shows you the places you will visit, as well as give you requisite precautions. When hiking through the park. You can pick up your maps from here, too. Thomas A. Jaggar Museum: The museum was named after one of the pioneering volcanologists who study the Kilauea. His museum is a depository of information about the volcano, alongside documentaries on the subject. Crater Rim Drive: This is the trail that leads to some of the park’s must-see places. 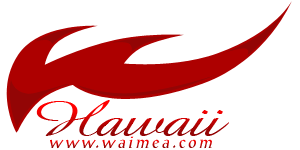 This includes the museum, the Devastation Trail, Thurston Lava Tube, Halemaumau Crater, and several overlooking posts. Halemaumau Crater: This was filled with lava in 1967. The lava pool has since been drained, and the crater is now reputed to be the home of the volcano goddess, Pele. Thurston Lava Tube: The walls of this five century old cave came from cooled lava. Molten lava had once tunneled through the cave, forming the lava chamber. It is always a thrill walking through the tunnel, thinking that lava may flow through it again at any time. An eden of tropical trees is at the end of the chamber. Chain of Craters Road: As the name suggests, the trail is littered with craters. Lava flows at the end of the road, where it goes through the cliffs again and out into the sea. The best times to view this spectacle are at around sunrise or sunset. Puu Oo Vent: Located at the East Rift Zone, the vent spews lava into the sea. The sight can be seen from the Chain of Craters Road. Volcano House: This is an old hotel (1846) with a rich history. You won’t have to stay to enjoy the architecture and ambiance of the place, but it’s a nice experience to stay where Mark Twain had stayed, one time in his life. The lava rock fireplace here has been burning since 1877. There are only select places around the globe where you can watch whales and dolphins in their natural habitat, and the Big Island is one of them. The island is known for several pods of humpback whales who visit at certain times of the year. Around October, these gentle giants start to come in. The who’s who includes a coterie of female humpbacks and their suitors, and hordes of pregnant females. The Big Island is their venue for mating and childbirth. No wonder oceanographers have referred to the waters of the Big Island as one of the best places to see humpbacks. Most of the humpbacks congregate between the waters of North and South Kohala and Hilo Bay. The high season to spot them here is on the first quarter of each year. You do not have to go on a whale watching tour to see the whales in action. Even from the shore, you can see the whales going about their business. Being a floor or two up is better through. The best time to see whales is during the morning, and on temperate days, where there is just enough sun and wind. The kind of action that you can expect when you see these whales is not something out of Ocean World. These giant humpbacks like to leap out of the water, do a turn or two, and then plop back in. If you do go on one of those tours, you may even have the chance of getting up close and hearing their squeals. Of course, you’d have to remember that these are protected animals. It is against the law to go up close and touch the animal. They may, however, go to you. Other whale species that visit the Big Island include sperm, melon headed, orca, pilot, and false killer whales. Dolphins also make an appearance every now and then. The Big Island is known to have these gentle visitors all throughout the year. For up close and personal encounters with these creatures, you can opt for the several whale and dolphin watching tours offered by different tour centers. You are most likely to spot these operators on popular beaches. When you join these tours, you will have the option to choose what boat to use. You can select catamarans, submarines, and even kayaks. The Big Island is blessed with acres upon acres of lush green land. There always seems to be an abundance in harvest and, of course, fresh food. Of all the yummy goodies that the Big Island is known for, Kona coffee is one that stands out. Kona coffee is a sought-after commodity, for its rich and bold taste. The coffee is found exclusively in the north and south of the Kona coast. This section of the Big Island is known for its above cloud mountainscapes and volcanic soil. This is the best place to grow Kona coffee. Most coffee farmers are on Kona’s mountain slopes and the uphill town of Holualoa. There are more than 500 Kona coffee farms in the area. These farms usually conduct tours all through the year. You can explore the expanse of the farm and then witness the picking and preparation of coffee beans. You also get to see how these coffee beans are milled and processed. You get the opportunity to try the Kona coffee at the end of the tour. There are also shops where you can buy whole beans. Besides coffee, the Big Island is also known for a variety of plantations. There are many orchid gardens all throughout the island. The Akatsuka Orchid Garden is considered one of the biggest in the area. It has about 1,000 orchid plants. Other noteworthy gardens are the Nani Mau Gardens and the Liliuokalani Gardens. The Nani Mau is a tree farm, housing more than 50 species of tropical plants. The Liliuokalani, on the other hand, is a Japanese-style garden. It has several rock gardens and bridges, as well as bonsai trees.